Have you heard? We are now serving food from our wonderful next door neighbors at Heritage Restaurant | Bar. 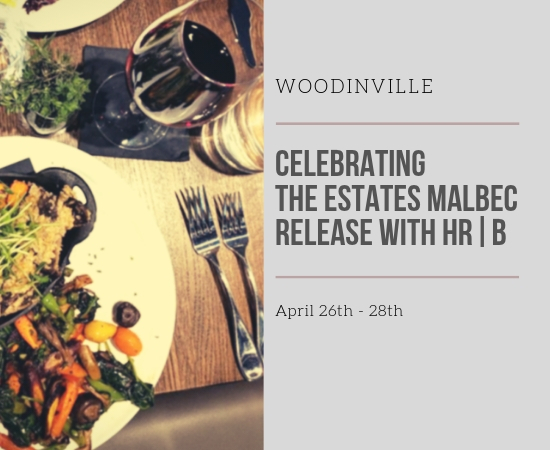 During this special weekend in April we will be featuring exquisite pairings on the menu to celebrate the release of our 2016 Estates Malbec. Mark your calendars and bring a friend to join you for this appetizing event. Wine Club members bottle discount will extend to their food orders as well – drink, eat, and be merry!